Flybar has it going on for the holidays. You can put their products under your tree for very reasonable prices. The best thing is that their products are a lot of fun for children. The Flybar Pogo Trick Board is a sturdy plastic board with a bouncy rubber ball in it's middle. It comes with a hand pump for inflating the ball and grip tape for the help of staying on the board. It will hold up to 160 lbs. This is recommended for children ages 6 and older. 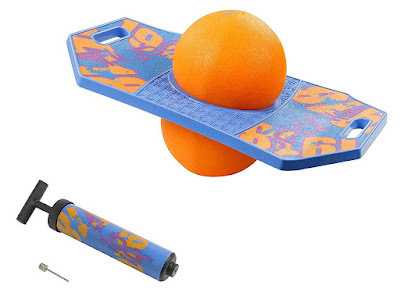 This Pogo board is for children to work on improving their coordination, gross motor and balance. Children can balance on the boards and learn to perform tricks. The Trick Board is excellent for a variety of skill levels. The ball gets inflated only a little for beginners and inflate more for a bigger challenge. The board has a handle so that it is easier for carrying. The kids are having a great time on this trick board. They are just beginners but I can see them getting good on this trick board. It seems they are catching on and it is easy to learn. The Flybar Pogo Trick board is a new twist on a retro classic. It is made of a strong elastic plastic material that flexes. The custom top is non slip foot deck with high grit grip tape that helps for control. The board is small and lightweight with built in handles so children can take it wherever they go. Beginners should fill the ball with less for more control. The ball van be adjusted easily though as they gain more ability. This is tons of fun for the kids and they come in five great colors. It would be great for the coming holidays. The original Pogo Stick was invented and patented in 1918 by Ger Hansburg. 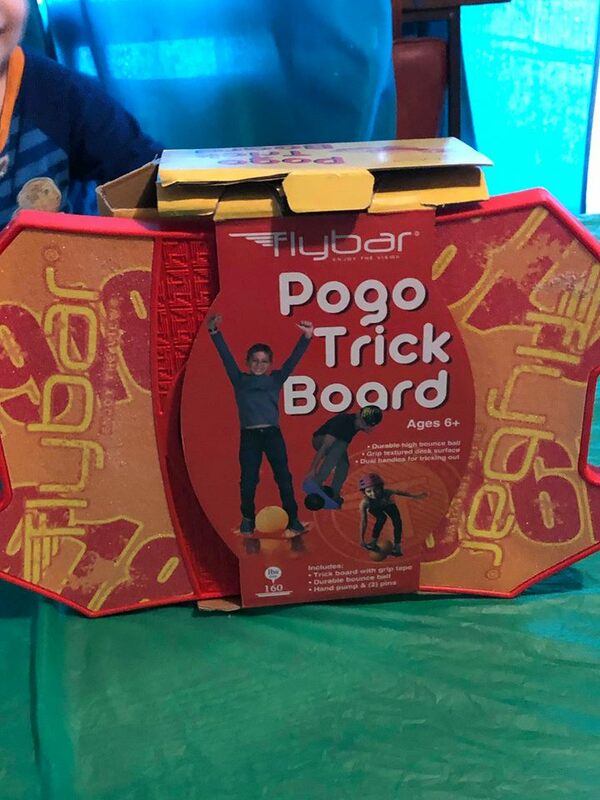 To date over 25 million pogos have been sold by Flybar, Inc. They are constantly innovating and improving the pogo stick. Flybar has been around since 1918. Since that time they have been known as the original pogo stick company. They have been working tirelessly to bring you new and exciting products beyond just the pogo sticks. They have moved on beyond just being the top pogo stick company into an all-around sporting goods company. New research and development continues to bring their customers fun and exciting new products. This looks like a fun toy.